Hatha Yoga School Rishikesh, Rishikesh, india. Information, Photos and Reviews. yoga classes in Rishikesh teach various aspects of yoga and meditation from basic to the most advanced level in an easy and effective way. Special practical sessions are conducted to improve your teaching skills and your personal practice. Our yoga courses have been delivering the best yoga teacher training programs in Rishikesh. We are enriched with a great number of professionally trained and certified yoga teachers and Indian yoga master. 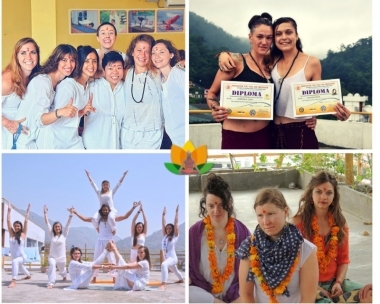 Yoga teacher training in Rishikesh at Hatha Yoga School is a program which is designed for those students who want to learn yoga in rishikesh and be a professional teacher internationally. If you are a beginner and wish to be a professional yoga instructor, joining our center for yoga ttc in Rishikesh, India would be the best recommendation. Nobody has reviewed Hatha Yoga School Rishikesh yet, Be the first. You are submitting a booking enquiry. Hatha Yoga School Rishikesh will then contact you by email with details of availability and prices.